A new study shows evidence that life on Earth may have begun even earlier than previously thought. 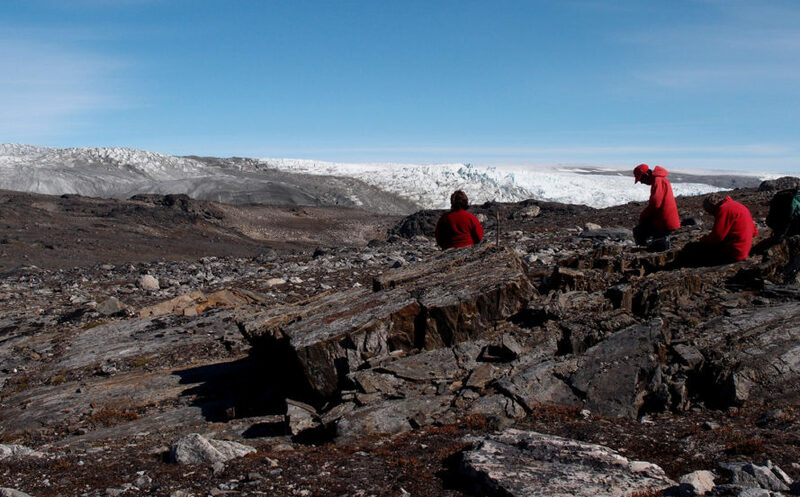 Researchers from the University of Wollongong have found fossilized evidence of ancient microbial life in Greenland dating back 3.7 billion years. The new discovery predates the previous earliest signs of life by about 220 million years. Ironically enough, the discovery was only possible due to global warming. The ongoing melting of Greenland’s perennial snow and ice gave geologists a look into some of the oldest rocks on Earth, preserved throughout the ages by the cold. Generally, these types of metamorphic rocks are simply too weathered by the elements to reveal any clues about their geologic past. These particular rocks contain formations known as stromatolites – a sedimentary formation created by the layered growth of microorganisms. In other words: these rocks are the fossils of millions of years of bacteria-like organisms living, growing, and dying. By analyzing the rocks, scientists have been able to piece together knowledge about the environment in which these ancient organisms lived: it was likely warm, in shallow water – a surprisingly hospitable environment considering that the Earth was bombarded with asteroids and the eruptions of super-volcanos at the time. This new research strengthens the evidence that life on our planet emerged over 4 billion years ago, perhaps only 540 millions years after the Earth itself was formed. The study has been published in the journal Nature. University of Wollongong researchers have uncovered the oldest evidence of life on Earth in the form of 3.7 billion year old fossils. These particular rocks contained formations known as stromatolites – a sedimentary formation created by the layered growth of microorganisms. By analyzing the rocks, scientists have been able to piece together knowledge about the environment in which these ancient organisms lived: it was likely warm, in shallow water.